I have to admit it - my tomato crop is a crashing failure and the picture below isn't my crop - just some colour to catch your attention! 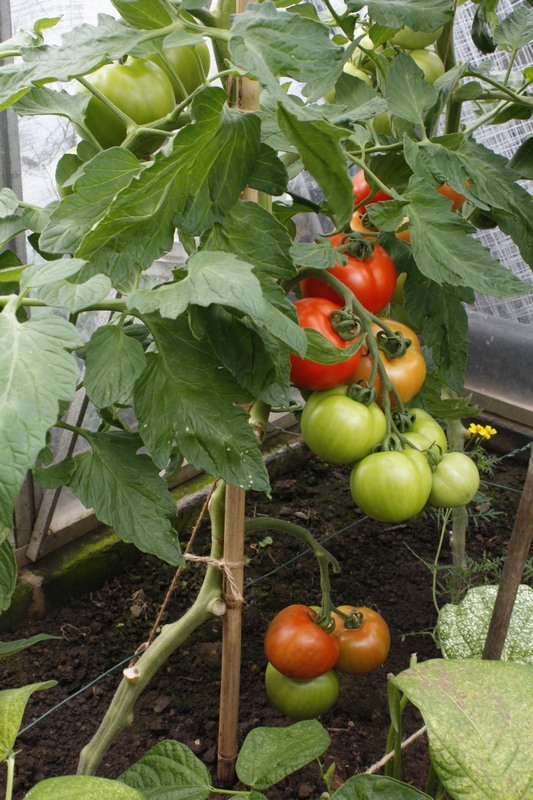 I thought I knew all about tomatoes having grown them since I was a kid and produced a crop in my father's greenhouse by the fashionable method of the time - ring culture! 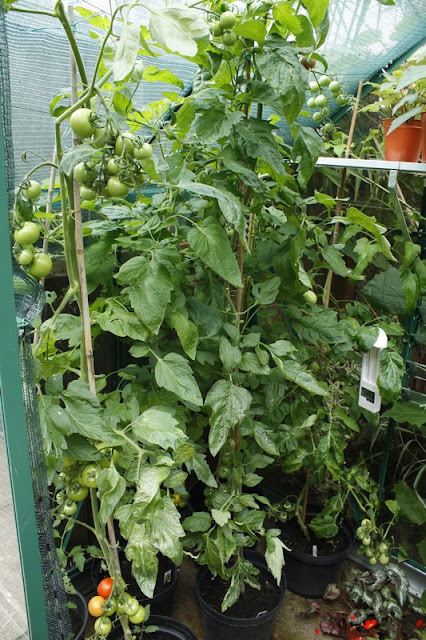 I have grown them in various locations over the years, taught tomato growing, even written about them in one of my books! Yes - I should be an expert but it seems I'm not! When I got my new little greenhouse this year I thought I'd like a trip down Memory Lane and grow some again. 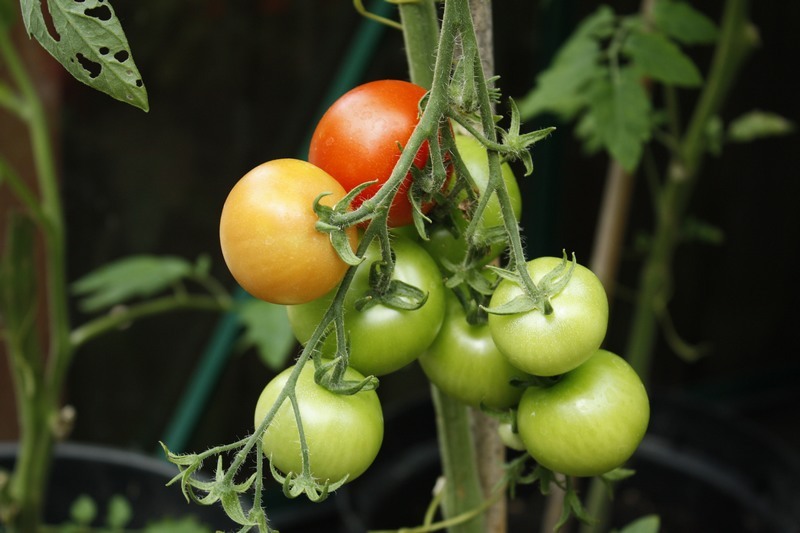 I filled six pots with a good container compost and planted six separate cultivars, everything from cherry tomatoes to beefsteak and in yellow, red and even chocolate brown. It was a new greenhouse and so no problems with carried over pests and diseases! Should have been simple! 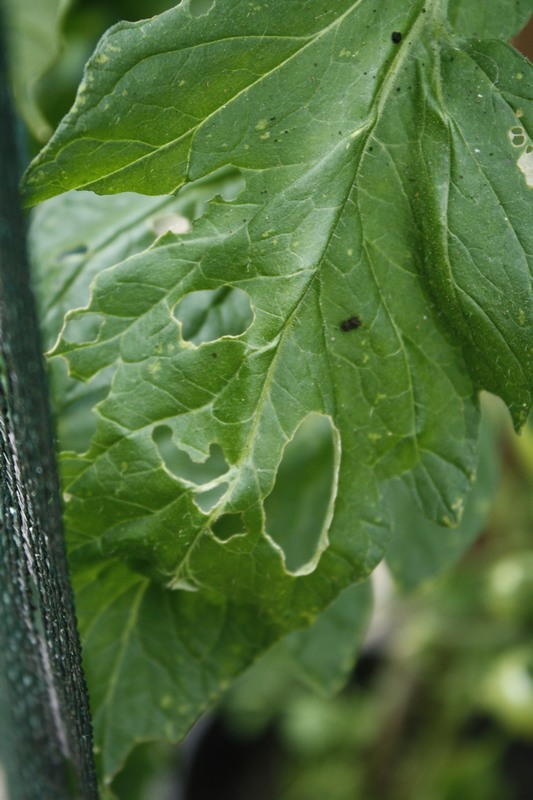 Well there have been no whitefly which is a blessing but tomato moth have been delighted to find them and the resultant voracious caterpillars have munched their way through the foliage with great efficiency! The plants rocketed up to the glass and I duly damped down every day to aid pollination but despite this fruit set has been poor. The chocolate brown one is just starting to ripen fruit at roof level which surprised me but on closer examination, I realised there are no trusses beneath this. The beefsteak has been abandoned as it has no fruit at all. Yet another appears to be a bush type - my mistake - so refuses to be trained. This is my 'crop' - my good friend Tony says they are too close together and I'm sure he's right. 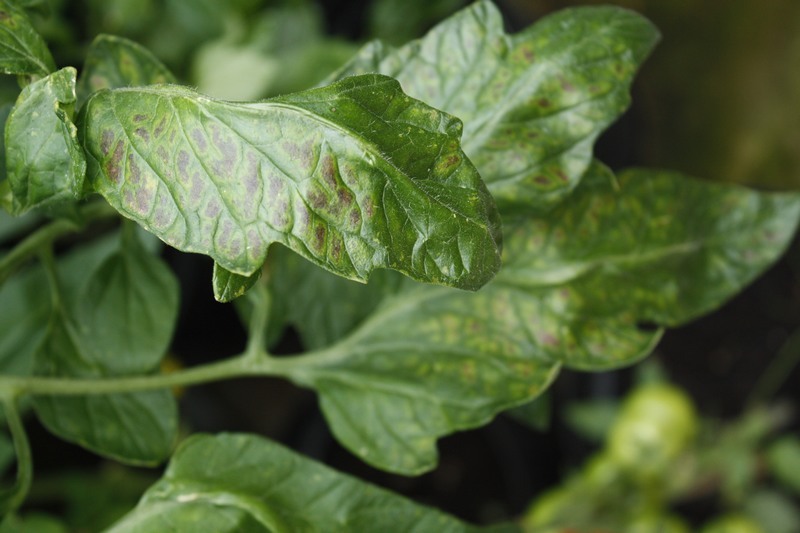 Could this be the beginnings of blight? If so that's the end of the crop. And this looks very much like magnesium deficiency, although I have been feeding them with a magnesium enriched feed. Finally I have a few fruit ripening - despite the poor crop, probably enough for me on my own - I can hardly parcel up tomatoes to Philip in the USA! 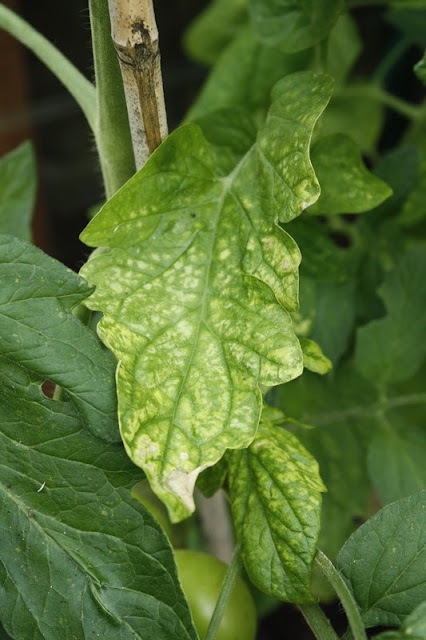 So there you have it - my total incompetence at growing tomatoes. I guess I could have lied and fiddled the pictures - I did once photoshop the colour to 'ripen' some tomatoes on a picture for a book but not this time. Woops another admission - you'll never believe my pics again!